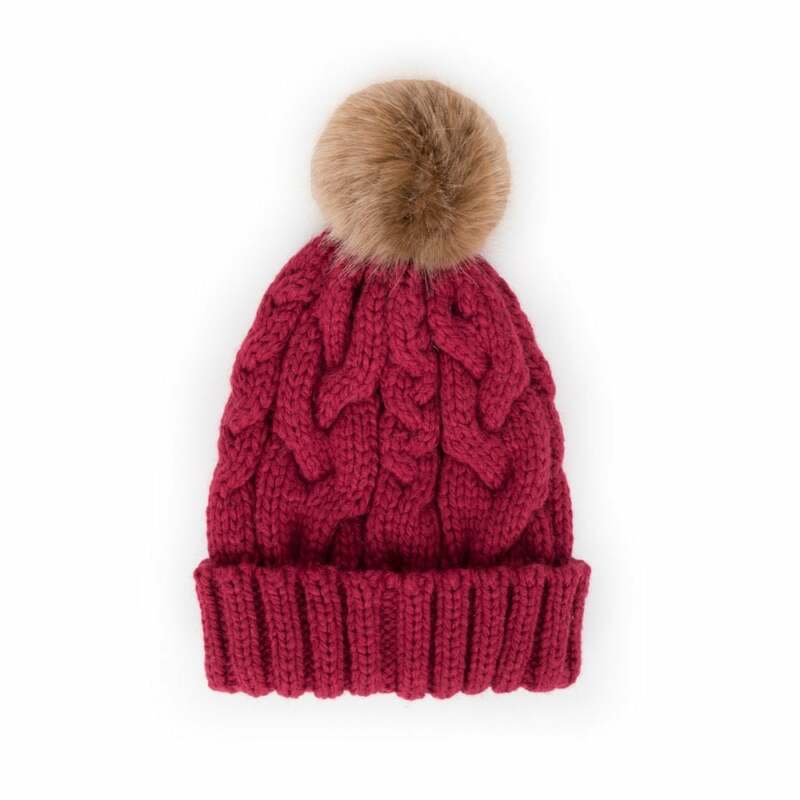 This gorgeous berry bobble hat is a winter wardrobe staple! Featuring a cable knit detail and a faux fur bobble. This lovely hat is great to coordinate with any winter outfit, matching mittens available.